The Post Speed Lead is the fastest, easiest to use speed lead you can buy. The Post Speed Lead was invented, perfected and patented by a bricklayer. 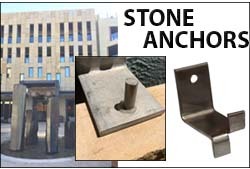 It works on all application of brick veneering, outside or inside corners and quoined corners. Corners laid with the Post Speed Lead are straight and clean. 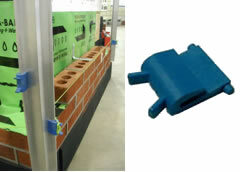 Simplify corner pole setting improving bricklayer productivity. Sturdy, adjustable, 1/4“ thick steel leg, angle corner L-bracket x 24″ with 5/16” diameter holes 1“ oc. Sturdy, lightweight and adjustable, 5/16“ thick aluminum leg, angle corner L-bracket with 5/16” diameter holes 1“ oc.